Looking for information on a Las Vegas Golf Tournament? This page lists below all of the courses that post their event calendars online for you to view. Then visit our locally contributed to events page for regular postings of upcoming tournaments, charity events and more! Whether it is an annual event or charity event you seek or just to satisfy your social golfing craving ... you will find it here. If you don't see it, make sure you let us know! We want to post it for you. You can post on our website for free via the contact form or you can Post your Las Vegas Golf Tournament to our 7300+ Facebook fans, Twitter, Google+ and our locals website for $5 Here on Fiverr. Contributing to our blog ! Here is our Las Vegas Golfing Blog and Event Listing page, where you can review, rant, rave, share ideas and POST YOUR events for FREE. We would love to hear from you. This is a live blog and all of the events and tournaments that we hear about are posted on this page. Check out Vegas Golf Association If we are not quite up to date, here is a great listing of Las Vegas Golf Tournament happenings coming up! Click here And you don't have to be a pro to participate. Las Vegas Golf Amateur Tour 2018 - You can visit the main site at this address: http://www.vegasworldamateur.com/ you will have to copy and paste into your browser because they have not converted to secure pages as of yet :)). It is a lot of fun and they offer super prizes like trips! Think Young Play Hard Invitational - You get a FREE limousine bus that takes you to and from the golf course and the package includes a gourmet lunch to go, premium cocktails are available, elite buffet at the end of the event. Play two of the most amazing courses in Sin City. The Callaway Long Drive Team will be doing incredible exhibitions during the TYPHI Callaway demo day at Bali Hai's driving range. Try the hip NEW GolfBoard !! We will have a bunch on site for you to give a try. JT Shriners famous Annual Charity Event is no longer going to be JT Shriners in 2013! It will be part of the Fed Ex Cup Series. Make sure to check the Shriners Hospital Link for yearly dates and start times. Please visit Our Event Posting Page to see currently posted Charity tournaments and events and to Post your charity event for FREE. Womens Golf Meetup - Las Vegas Meetup group for women golfers. These are easy clubs to get involved in, and a very comfy and casual way to make like minded friends. Southern Nevada Golfing Association They host regular events throughout the year for all ages. Angel Park Golf Club Hosts many events annually, click on their link and then on "annual events" to see what is going on next. You can also come out every Thursday to play with their staff and they also have leagues so make sure to visit their website. Las Vegas Golf Club The oldest and best in town. Visit their link for their events page. Las Vegas National Golf Club has their own fun contests going on. You can visit Las Vegas National GC for their contest page and upcoming tournaments and events calendar. Primm Valley Golf Club Offers ever changing fun events, visit their scheduling page here. Home of the Primm Valley Shootout! PGA Tour.com Keep an eye on any great events coming to town. We are getting our face on the map. Celebrity golfers are coming her regularly now. Red Rock Country Club This is a private membership club, but you can take a look at their Event Calendar here. Rhodes Ranch Golf Home of the Ladies Nine and Wine, and professional PGA instruction, they have a calendar for you here. Rio Secco GC in Henderson has great play events for you! Keep an eye on their calendar here. 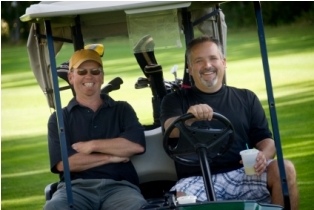 Siena Golf Tournament Package - Want to plan a great event of your own? Consult the experts! Support a charity, have an office event or company celebration for fun. This makes a great fundraiser. Tournament Players Club - Visit their page and scroll down to sign up for updates on TPC and their events. Yes we have one in town, and it hosts some great well known and even some famous competitions. Wildhorse GC in Henderson hosts several Las Vegas Golf Tournaments, check out their calendar here. They have night golf too which is fun! Sunrise Vista on Nellis Air Force Base grounds, posts their fun golf events here. Thank you for visiting our Las Vegas Golf Tournament page, submissions are always welcome here, thank you. Have A Great Review, Comment or Golf related event to Post ? We want to hear your golf course ratings, comments on tournaments or events or just share your good ole knowledge with the less "game intelligent." Tell us your story here! The C.C. Thomas Jr. “Music For Young Minds” Golf Classic Las Vegas! Las Vegas Homes on the Course! Do you need to live by your fave sport? I can help you, Contact me. I have an instant direct to market database that I can email you instantly all homes on a golf course for sale :). Our Own Golf Reviews Blog I want to know how your play went. So, let me know about any new events, bad or great experiences, special offerings or just new news. Return to Las Vegas Golf from "Las Vegas Golf Tournament"